We endeavor to change the way people think about medicine. Science is waking us up to the reality that many chronic diseases today have complex environmental causes that may require intervention on many fronts. Leveraging this understanding, many forward-thinking physicians and patients have apparently already witnessed dramatic reversals or remissions of chronic diseases that – according to published science – have scarcely or sometimes even never been documented within the context of a controlled trial. It is our vision to investigate through controlled clinical trials whether or not such results can be reliably replicated. To this end, we intend to pilot a model of decision-making which we term Robust Empirical Treatment (RET). In this model, many possible contributing environmental causes of a chronic disease are simultaneously or sequentially targeted using a multi-interventional natural medicine protocol, even in the absence of proven etiology. These therapies are further supplemented by multiple nontoxic and versatile (pleiotropic) natural medicines. RET aims at achieving optimal outcomes, while minimizing the need for both diagnostic and therapeutic precision. Proof Is Needed – Is That a Fact or a Belief? Environmental medicine is the subset of medicine concerned with any etiological factor that primarily originates externally to the human body and which can be targeted within or without the human body for the prevention and/or treatment of disease. Our view of chronic disease today is that it is caused predominantly by the environment, and that other explanations such as longer lifespan, increased diagnosis, genetic inheritance, and randomness have become exaggerated in the medical mind. Moreover, such a disease-causing environment has come into existence largely due to the adverse activities of mankind. We believe all of these views are well-substantiated by published science. As we progress through our newsletter, we will see that these etiological classifications almost uniformly fit every major chronic disease today. Although we typically view noninherited food allergies as a complication of prior environmental factors, we mention it as an exception, owing to it being an important front of intervention. Food allergens also technically originate externally to the body. We could loosely equate the use of our term “environmental” with the term “largely nonhereditary and nonrandom”. Complexity – Virtually every major chronic disease is associated with multiple members of each and every one of the five classes of environmental etiologies. Overlap – Individual members of a given class of environmental etiologies (such as a particular toxicant, particular dietary habit, particular infection etc.) are frequently linked to many chronic diseases, and not just one. Entanglement – Each of these five classes of environmental etiologies are not distinct but are rather interdependent. Members within a given class can cause or exacerbate members of a different class. For example, chronic infection could lead to food allergies, which in turn could lead to more inflammation, malabsorption, and nutritional deficiency, which could in turn weaken immunity and worsen infection, which could all make someone severely stressed, etc. These are some of the reasons why our organization will be emphasizing multi-interventional clinical trials. In fact, failure to account for such complexity and entanglement could theoretically make the difference between interventions appearing worthless or even harmful when tested in isolation, and those same interventions becoming beneficial when tested in combination. For example, removing a knife from a wound without stopping the bleeding will not save a patient. Neither will stopping the bleeding without ever removing the knife. And even if you do both, you may still need to treat an infection that set in during the interim. Clinical trials could well conclude that all three of these are useless interventions if tested individually, and yet this would be a completely wrong conclusion as they could be curative when used together. We believe these phenomena of complexity and entanglement explain some of the discrepancy between the sometimes dramatic disease reversals environmentally-oriented clinicians are seeing in practice, and the relative lack of such dramatic disease reversals being documented in clinical trials. In other words, complementariness and perhaps at times even synergy of environmentally-oriented therapies are real things, and people haven’t fully realized it yet. The very way we have been looking at clinical research has not adequately reflected the realities of clinical practice where multiple interventions can be used, and where frequent reevaluation of treatment direction can occur. If a bucket has many holes, the more holes you plug, the better the results. We define another abstraction called “natural medicine”. This describes medicines that are naturally occurring, without any molecular modifications not found in nature, and for which health benefits have been reasonably posited. Examples of natural medicines are foods, vitamins, minerals, fatty acids, phospholipids, herbal products, amino acids, probiotics, and endogenously occurring chemicals like coq10, glutathione, alpha-lipoic acid, etc. Intravenous therapies like high-dose vitamin C or ozone autohemotherapy also count. Also included are activities such as exercise, meditation, sun exposure, sauna therapy, food allergy elimination, dietary changes, fasting, lifestyle changes, hygiene changes, grounding, EMF remediation, mold remediation, and toxicant remediation. Examples of naturally occurring materials that would generally not meet this definition of natural medicine would be cyanide, spoiled milk, and carbon monoxide, as these do not have reasonably posited health benefits. 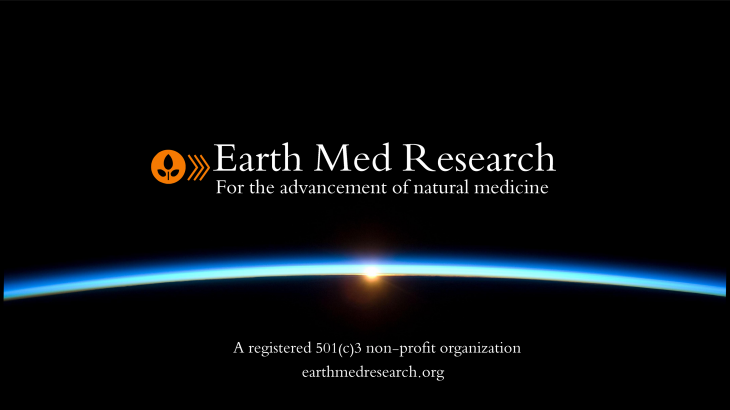 Take notice of the relationship between environmental medicine and natural medicine. Incidentally, the kinds of interventions that are needed to target environmental etiologies of chronic diseases are predominantly natural. Nothing can correct a magnesium deficiency except magnesium. No FDA-approved therapy can fix a horrible diet. Nothing can correct a lack of exercise and sunlight except exercise and sunlight. No drug can remove a food allergen from ones diet or prevent a chronic toxic exposure. And the list goes on. In fact, with the exceptions of anti-infective drugs and vaccines, there are very few pharmaceutical therapies that have even the potential to target the environmental causes of chronic disease. While ridiculed by many in the past as a mere conspiracy theory, financial analysts now openly discuss the reality that – as far as it concerns the pharmaceutical industry – curing disease is not a sustainable business model. With distorted financial incentives and massive cognitive biases, much of modern medicine has condemned itself to looking in a terminally mediocre direction that does largely deserve the term “symptom management”. Once realized, this forebodes both a perpetual failure to truly prevent and reverse most chronic diseases, as well as an eventual financial collapse. While some take offense at the claim that physicians don’t practice good prevention, the reality of the situation is that they generally don’t. Highly cited papers state that a huge percentage of chronic disease could be prevented with environmental and lifestyle changes. Yet the overall burden of chronic disease is still on the rise. Hence, it is a fact that we have not been adequately looking at the environment, and that claims to the contrary are naive. Some critics do not believe the drug industry lacks incentive to take natural medicines through to FDA-approval. This is largely untrue. Firstly, many natural medicines are activities rather than drugs. Secondly, natural medicines cannot be patented because chemical isolates are viewed as “discoveries” rather than “inventions”. The US Patent Office has explicit policies against granting patents for chemical isolates. Simple isolates are also less likely to require complicated manufacturing processes that mystify the layman. Thus often lacking the factors necessary to justify high prices and prevent competition, natural medicines are not on even footing with nonnatural analogues or entirely novel chemicals. While it is true that methods of purification or synthesis can be patented, this is scarcely sufficient to prevent competition from finding other ways to manufacture a given natural medicine. Furthermore, many of the natural medicines we are searching for as a society are already commercially available as low-cost dietary supplements. Many of them have enough research to have led to very positive systematic reviews and meta-analyses. The only way the drug industry could highly profit from them would be through a nonnatural modification. Distorted motive is even evidenced by the fact the industry is scarcely developing antibiotics, even though they could be patented. Antibiotics are taken short-term and don’t maximize profit. Testing combinations of natural chemicals is also eschewed by profit motive. We isolate plant chemicals and try to determine their effects. But what if the best efficacy can be achieved by a combination of unpatentable chemicals? This is especially of concern with regards to cancer and infection, and avoiding drug resistance. Combination therapies may also allow for diversification of toxicity (i.e. low doses of a combination of chemicals, versus a large dose of a single chemical), potentially making therapies safer. Yet industry would be hard-pressed to find a way to patent and manufacture every chemical in such a combination in a way that is still maximally profitable. Low toxicity – Materials we are exposed to either through our diet or through endogenous synthesis have been with us a long time. And such materials describe a large portion of our abstraction called natural medicine. It can be reasonably argued that we have evolved to better tolerate many such materials. Apart from an evolutionary argument, the fact that any segment of humanity has safely subsisted on such materials increases the likelihood of low toxicity. Regarding physical activities or rectification of a disease-causing environment, the question of toxicity is often minimal or may not arise at all. Foods, nutrients, phytochemicals, endogenous chemicals, and activities often have pleiotropic effects, exhibiting multiple properties with broad health implications. Humans have evolved eating certain foods, performing certain actions, and being exposed to certain environments. The resulting evolutionary adaptation would tend to result in such inputs having multiple beneficial biological activities. Apart from this, natural selection would cause humans to gravitate towards foods that have the most health benefit. And plant chemicals tend to be pleiotropic in any case, owing to eons of their own natural selection. Beneficial properties frequently include anti-inflammatory, antioxidant, antitoxicant, anti-infective, and antihypertensive properties, improving a number of mitochondrial dynamics, modulating the microbiome, and/or improving blood rheology. Since single environmental insults often have pleiotropic adverse effects, chronic diseases are often found to have overlapping environmental etiologies. Thus, multiple diseases can be impacted with a single natural medicine that targets such an etiological factor. As such, many natural medicines provide benefit in a given disease while simultaneously reducing the risks of several other diseases. On the other hand, nonnatural drugs are often designed to have narrow targets, and subsequently increase the risk of other diseases. Also, natural medicines are as a whole dramatically cheaper than patentable drugs, potentially making them far more cost-effective. Hence, for all the reasons discussed, we reject the view put forth by some skeptics that creating a rough abstraction between natural and nonnatural medicines is not a substantial point of discussion. We are not proposing a dichotomy – just an abstraction that describes functional and economic tendencies. We do not wish to imply something overly simplistic like “natural is better”. Rather, we mean to say that if we did not have an overly patent-driven medical system, medicine would overall be far safer, more effective, and cheaper than it is today, owing to having payed more attention to higher-yield areas. There are many problems with the genesis of so-called “evidence” in medicine, which will be a major theme of our newsletter. On one level, researchers are prone to repeatedly conduct studies that are contaminated with potentially severe and/or systematic sources of bias and confounding, and yet believe those studies credibly “confirm” previous results. Innocent error thus goes a long way. But beyond that, in our opinion, peer-reviewed research has shown that industry fraud is the norm and not the exception. Drug companies hide trials they don’t like, often never registering them publicly, which later facilitates burying the evidence. They willfully use placebos that aren’t actually placebos. They willfully bias the selection of patients. They claim their trials are blinded when they know the blinding has been broken. They choose trial durations that they know will give them the best results. They only report the select outcome measures they like, even going so far as to never specify any a priori outcome at all. They present tiny effects with flowery wording and relative measures that make them sound very positive. They underreport adverse events or else rename them as something more flattering. They flatly omit bits of data they don’t like, falsely claiming they are inconsequential. Thus they succeed in presenting the FDA with studies carefully engineered to show benefit, regardless of reality. And even so, they may still only succeed in showing a marginal benefit. Then they bias FDA officials and advisory committees who have serious conflicts of interest in deciding whether or not to approve a drug. The FDA may even approve a drug that lacks even this much distorted evidence, instead asking for postmarketing research. But once a drug is approved, you know the chances of its approval ever being revoked in a timely fashion are slim. Then drug companies market the drugs to physicians and patients, presenting them narratives that don’t match what the FDA has authorized them to say. Then they advocate off-label prescribing, using drugs for situations they have never been approved for. They fund ghostwritten studies to give the illusion of independent research. Then journals funded by ads publish drug recommendations that are less critical than journals funded by subscriptions. Then we find out years later about the long-term increased risks of other diseases from taking a drug – risks that are never tested for in relatively short-term studies prior to FDA-approval. And even once that happens, the FDA drags its heels in warning consumers about the risks. And when it does, it is through tiny letters on a label that no one will ever read. Then to top it off, such drugs of questionable safety are used in cocktails that have scarcely been studied as such. The overall impact of taking combinations of toxic drugs has not been adequately assessed, and a growing body of evidence suggests that there is reason to be concerned. All of these problems – and more – have in our opinion been clearly demonstrated in peer-reviewed research, and we will discuss these issues at length. Though there is growing awareness about all of the abovementioned problems, we believe there is still grossly inadequate appreciation for how severely the value of scientific research is compromised when it is considered that all of these issues are compounding one another simultaneously. We go so far as to say that there is not a new FDA-approved drug for chronic disease today that is truly “proven” – at least not at the moment of its FDA-approval. We believe that many presently approved drugs are going to ultimately be rejected for causing more long-term harm than good. Though many may feel disillusioned with the questionable evidence behind many pharmaceutical drugs, it must also be admitted that many problems plague the dietary supplement industry as well. Companies hide their cheap ingredients behind pseudoscientific marketing terms, allowing them to mark up the price. This is the natural medicine substitute for patenting a drug. Or people rely too heavily on anecdotal evidence, cherry-picked studies, misleading relative risks, studies of poor design, etc. In other words, the problems in medicine exist on all sides of an imagined fence, and not just one of them. Though we will say that the dietary supplement industry is not nearly as practiced in these arts of deception as is its larger pharma counterpart. Their products are generally also not nearly as risky. The solution is not to reject the present medical system, but to fix it. In theory, legislation could fix many of the problems of corruption we are facing. We should not be cynical and believe such changes could never happen. And even in the absence of corrective legislation, a piece of bad science can only harm us if we fail to exercise adequate skepticism. And we must also realize that the very fact we know about all the various facets of scientific corruption is precisely because there are aspects of academic science that are working reasonably well. The terms empiric therapy or empirical treatment refer to medical treatment that is undertaken in the absence of complete or perfect information. This information can be incomplete either in the sense of not being certain of the cause of a disease, or in the sense of not being certain of the effect of a treatment. We argue that empirical treatment can be optimized to the point that a lack of either diagnostic or therapeutic confidence need not be an obstacle to effective treatment of chronic disease. The first thing we need to realize is that information is always incomplete. Many drugs are prescribed based on averages. A drug might have a Number-Needed-To-Treat (NNT) of 10 or even 50. That means you might have to prescribe a drug to 50 people just to result in only 1 person actually being benefited. The other 49 people would only experience risks and side effects. On average, such a therapy may be viewed as doing more good than harm. But if you look at just the subset of nonresponders, that therapy may on average yield harm without benefit. And yet this can very well pass as a “proven” therapy in evidence-based medicine (EBM). But does this really deviate much from the definition of “empiric therapy”? After all, within a given individual, you do not have complete information as to whether or not that patient will experience more help than harm. Furthermore, for all the realities of corruption which we have already discussed, the reliability of much of published medical science is not nearly what many may still believe it to be. It is for these reasons that we insist that medical “proof” is something that exists by degrees, and that it is rarely a strictly binary descriptor. A key concept in decision analysis is the effort to balance overage and underage costs. A classic illustration of this concept is called the “newsvendor model”. A newsvendor is faced with deciding how many newspapers to print on a given day in the face of uncertain demand, and knowing that unsold copies will be worthless the next day. The underage cost is the cost of a lost sale due to not stocking enough papers. The overage cost is the cost of wasting an unsold paper. Depending on these parameters, mathematical analysis can be used to recommend an optimal number of papers to print. If for example, the cost of printing a newspaper is only a fraction of a cent, and a newspaper sells for a dollar, the optimal decision would be to print way more papers than you expect to sell. How can this concept be better applied in medicine? Say a physician has a patient with a chronic disease. She has identified 10 natural therapies that either exhibit therapeutic versatility or else target one of several potential contributing environmental causes of the disease. She decides to use all 10 natural therapies simultaneously. If we assume that all of these hypothetical therapies have no overage costs, and that each has an independent 5% chance of benefiting (NNT= (1/0.05)=20), then the probability of this patient benefiting from at least one intervention is 40% (1-(0.9510)=0.40). Thus the overall treatment has a Number-Needed-To-Treat (NNT) of only 2.5 at worst. And it might even be considerably lower. In other words, it is theoretically possible to use relatively understudied therapies in combination or in sequence, and yet have the overall therapy be highly likely to benefit, having been based on a reasonable science of decision-making. Natural medicines lend themselves to such a scenario owing to low overage costs (finite treatment durations and/or low toxicities) and therapeutic versatility. We argue that this line of thinking may be further merited by phenomena of complementariness and synergy, which we have already mentioned. There is a widespread mentality that using only proven therapies is what will optimize outcomes. But this approach is by definition only a heuristic. It is not truly possible to prove what constitutes an optimal treatment decision in any given instance. Evidence is often overturned, not all patients respond alike, human interactions affect compliance, and an unproven cure might be sitting on one’s desk at this moment. How then can we actually know one heuristic is better than another within a specific context? The only way is to track outcomes under multiple competing heuristics, and then compare. We intend to do exactly this. We propose a decision-making paradigm called Robust Empirical Treatment (RET). In RET, many potential environmental etiologies of a chronic disease are simultaneously or sequentially targeted using multiple low-risk natural therapies, even in absence of proven etiology. These therapies are further supplemented by multiple nontoxic and versatile natural medicines. Our proposed head-to-head clinical trials could form the beginning of a comparison between two different decision-making paradigms. We believe that the results of such trials might very well bring a central dogma of EBM into serious question. These trials may ultimately substantiate a more flexible approach that enriches the present overly rigid incarnation of EBM. We are not advocating a “do whatever you feel like” style of medicine. But we argue that the penchant for only using “proven” therapies eliminates too much gray area where there is room for a science and art of acting on lesser levels of evidence. There is even a growing interest in formalizing methodologies of conducting N-of-1 clinical trials in the name of advancing “precision” medicine. One important aspect of such trials is the use of self-control (i.e. an individual serves as their own control, allowing repeated observations of the effects of initiating or withdrawing one or more therapies). This in essence greatly resembles what already goes on in clinical practice, especially among “alternative” practitioners. In one sense, this can be said to be science starting to recognize that there is a certain wisdom in simply “trying things”. Overall, chronic disease is on the rise. We must face the possibility that the present paradigm of evidence-based medicine that aims to make decisions by emphasizing a high level of evidence for each and every isolated treatment and etiology may simply not be able to keep pace with the evolution of chronic disease. By the time environmental associations with disease have been solidly proven to be causal, the disease we seek to treat might have already increased in complexity, with additional environmental etiologies having come into play. Completely new diseases will also surface. Furthermore, testing isolated interventions may be unable to adequately account for the aforementioned issues of complexity and entanglement. Interventions tested individually may appear ineffective, and yet be effective when tested in combination. Hence, investigating other more adaptive paradigms of research and treatment decision-making not only makes sense, but may in the long run be the only chance we have of avoiding a crippled society that failed to generate science fast enough. A bias towards symptom management and away from addressing environmental etiologies – Most physicians are simply not aware of a lot of material that they need to be reading. Except in situations where immediate stabilization is needed, it is sensible to always address upstream environmental etiologies of chronic disease prior to embarking on indefinite drug therapies that have narrow downstream biological targets and typically give no chance of cure. The need for drugs can be reduced or completely eliminated more often than people realize. A bias towards patentable drugs and away from unpatentable natural medicines – Natural medicines do have greater overall tendencies towards lower toxicity, pleiotropicity, and lower cost. They also have less tendency to make it into the medical canon owing to skewed research incentives. Even so, the evidence to support the use of many such materials exists, but does not reach the eyes of the average narrowly-literate physician. Poor quality of clinical evidence – There is a gross failure to understand the true extent of harm, fraud, bias, fallacy, unreliability, and lack of usefulness that plagues much of published medical research and commonly practiced medicine. Even many well-read medical skeptics somehow fail to pick up on quite a lot of literature that would enhance their skepticism of many FDA-approved therapies. As we will argue, many drugs are actually doing more harm than good. Thus the imperative to “first do no harm” is a major factor in what drives a physician to rebrand him or herself and place greater emphasis on generally safer natural therapies. Inadequate appreciation of empiric therapy – As we have argued, better and more pervasive application of empiric therapy is exactly what needs to happen. Yet physicians have been trained to think otherwise. Hence, despite its defects, we view this growing movement among physicians to have at its core a set of necessary adjustments that need to be made to EBM. Countless thousands of papers on nutrition, natural medicine, environmental medicine, and controversial medical topics are published every year. We help sort through many topics of interest and controversy, often picking up on overlooked gemstones of research. We try to bring clarity through a limited number of detailed articles, reviews, and perspectives, rather than through the common practice of trumpeting every new study that comes out. We help cut through information overload and chronic media misreporting. Our newsletter will also serve as a basis for demonstrating the sensibility of our proposed clinical trials. It will review environmental associations with major chronic diseases. It will also review clinical trials that have occurred with natural medicines in those diseases. Among other things, this will enable us to identify the natural medicines that exhibit the most therapeutic versatility, as well as the environmental etiologies that exhibit the most overlap between diseases. Our newsletter will also give us a chance to dialogue with the public and refine our hypotheses and research agenda. We will attempt to offer an environmentally-oriented look at medicine today that avoids conspiratorial narratives present in many websites. A handful of important topics will be addressed not through our newsletter, but through reputable peer-reviewed journals. We will always opt for open access publishing, meaning online viewers will never have to pay to read our papers. Overpricing – We are confident we can do a lot better than much of what is presently available. Some ingredients may be dirt cheap to buy in bulk, yet be sold for high prices for no other reason than its being in vogue. Failure to formulate as a system – There are many considerations that need to be made regarding how supplements interact with each other. And when supplements do attempt to account for this, they do not always correctly interpret what the evidence indicates should be done. Physical inconvenience – Many supplements that would be important in the context of our clinical trials are sold individually. With commercially available options, a patient might well be asked to swallow 30 or more capsules in a day. To overcome this, we will be emphasizing liquid supplements, which avoid fillers, and allow for many ingredients to be delivered in a compact manner. Nonsensical doses – Sometimes, dosing just makes no sense in light of published science. Sometimes the absence, presence, amount, and ratios of ingredients are incidental to where the material is cheaply sourced from, rather than being an intentional formulation from scratch. Safety – It turns out that one of the most serious risks of dietary supplements is actually choking. This is a reason we will be formulating liquids. Some important supplements are also known to be reactogenic. We advocate stringent use of ramping in order to control the severity of potential Jarisch-Herxheimer and detoxification reactions. Liquids facilitate this. In other instances, products may simply have unsafe doses of certain ingredients. Inadequate delivery vehicles – Some materials are poorly absorbed, do not reach the targeted compartments, or are damaged by stomach acid. Even if not, some materials are simply made more effective when delivered ideally. Examples of useful delivery methods are liposomal encapsulation, micellization, mineral chelation, and acid-resistant capsules. Incorrect forms of nutrients – A formula may simply fail to include the form(s) of nutrients that have been clinically substantiated. Patient-to-patient variability – There is also significant patient-to-patient variability in absorption and/or retention with respect to a number of materials. In fact, there might be ample research to substantiate a particular widespread nutritional deficiency, and yet at the same time there may be no good science on how to reliably correct that deficiency. Aside from leveraging delivery vehicles, we will be diversifying the forms of nutrients in order to hedge against these uncertainties. A liposomal formula including vitamins (A, B-complex, C, D, full spectrum E, full spectrum K), phytochemicals (green tea extract, curcumin, resveratrol, astaxanthin, ecklonia cava extract, grape seed extract, quercetin, sulforaphane), and endogenous chemicals (glutathione, alpha-lipoic acid, acetyl-L-carnitine, CoQ10). A complete liquid mineral supplement which includes generally neglected minerals (such as silica, lithium, boron, molybdenum, rubidium, iodine, indium, vanadium, chromium, etc. ), and which diversifies the forms of minerals by chelating a portion of each to the amino acid glycine. An amino acid and MSM supplement, formulated in ratios shown to cause the amino acids to almost entirely follow anabolic pathways. A poly-herbal formula. Herbal polypharmacy is discussed more on our research page. Electrically isolated silver (a.k.a. colloidal silver). EIS is also discussed more on our research page. Probiotics (tentatively 26 strains) delivered in a capsule that survives the stomach acid. A handful of novel cosmetic and fragrance products will also be developed. Our newsletter will give us ample opportunity to discuss and refine the formulation of these supplements. Sales of these supplements will support our organization and help us fund our proposed clinical trials. We wish to build a small line of products that people can trust, and that simplifies the bewildering experience many may have of exploring the endless world of dietary supplements. Our formulations will always be completely transparent. We will also disclose the true cost of materials of all of our products. In fact, we will encourage others to replicate our formulas and will even be willing to certify other products as being functionally equivalent. In the event our clinical trials have positive results, we definitely want to make sure these materials are cheaply available to all. We really have no interest in getting into the supplement business. It is just that we view it as necessary. Also, having a relatively standardized line of supplements may be important in the event others wish to replicate our clinical results. Type 2 diabetes and diabetic neuropathy, fibromyalgia, rheumatoid arthritis, osteoporosis, COPD, chronic fatigue syndrome, essential hypertension, heart disease, Alzheimer’s disease, Parkinson’s disease, Crohn’s disease, kidney disease, multiple sclerosis, obesity, schizophrenia, autism spectrum disorder, chronic Lyme disease, congestive heart failure, multiple cancers, mold illness. We hypothesize that the results of such trials will overall be very positive, with instances of either obvious reversal or complete remission being documented in several trials. Stroke recovery, chronic spinal cord injury, vaccine-injury recovery, antidepressant discontinuation, and opioid discontinuation. We have other proposed trials related to Lyme disease and Rife machines, electrically isolated silver, ozone therapy, herbal polypharmacy, specific infectious diseases, sepsis, hair and skin quality, and hair loss. Read our research page for more discussion of many of these. Subscribe to our newsletter, and Like our Facebook page. Leave constructive comments on our articles, if you have any. Balanced criticism is more helpful than praise. Share and dispassionately discuss our articles and Facebook posts. If you are an MD or scientist who may wish to collaborate or participate on our Advisory Panel, feel free to reach out to us. If you wish to work or volunteer with us – especially if you are in the SF Bay Area – check our current Staff openings, or else pitch us your suggestion. Let’s work together for a better medical system.